behind all these cute products! 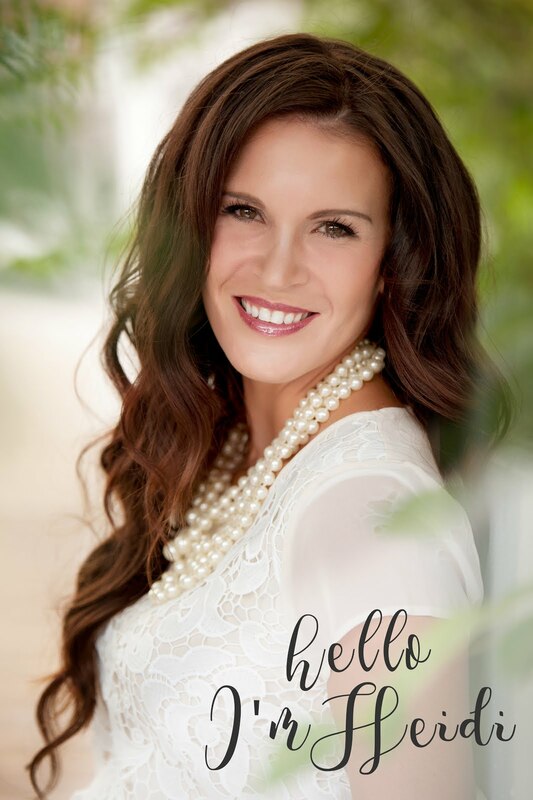 I would like you to Meet Krystal Hansen of Gracey Lou Designs. I am married to my best friend and we have two fun filled with energy kiddos. They keep us on our toes at all times. But we wouldnt trade it for anything! I was inspirted to start Gracey Lou Designs after having a hard time finding fun childrens clothes that were different then what I could find at the local retail store. I love to sew and expecially love sewing for other people and seeing there love for handmade items. I love to add my own little touches on simple yet cute pieces. After searching for fun funky frames and not being able to find them, is when I talked my husband into making me one. After hours of sketching and coming up with a design and him trying it out to see if it would work. Thats all it took. We debuted are frames at a Local craft fair and the rest was history. We love working with people and we both love creating things for people that they love and that they will cherish forever. How would you like to WIN something from Gracey Lou?? 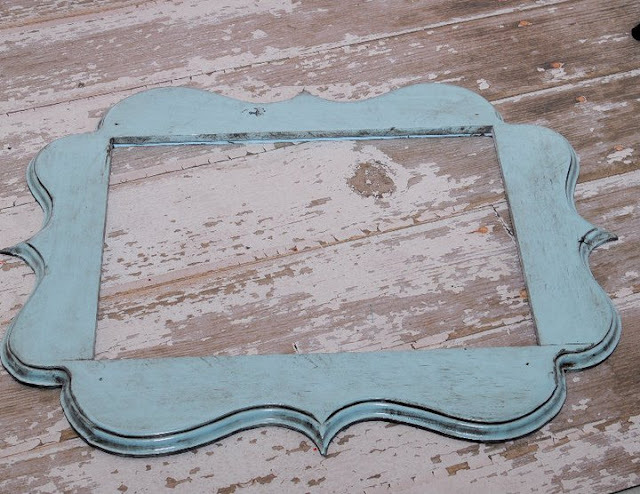 How about a Darling Frame? Winner gets to pick the paint color of their choice! You have 4 chances to WIN! #3 Like Gracey Lou on Facebook tell her I sent you! #4 Visit Gracey Lou on Etsy and come back and tell me what you LOVE! I LOOOOVE The All Boy Tie!! I like Gracey Lou on FB, too! Love the Claire picture frame! I love the Stylish Burp Cloths! Super cute and perfect for a shower! I love her Ties...as I have 4 little boys!!!!! Those ties are adorable and pefect for church! new follower here,, found your blog yesterday. I cant wait to look around some more. my favorite is the layla pillowcase dress and i love the ruffled leggings.. so cute.! I follow your blog now! i'm kinda obsessed with your kids' rooms... about to move, and can't wait to try some moulding/trim work in the rooms!!! Also LIKED Gracey Lou Designs- how cute are her things?!?! So sweet! I'm about to have my first girl, and I am so excited about the clothes!!! I am a follower! So glad I found your blog! 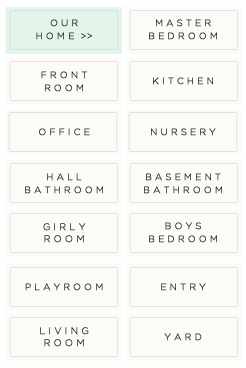 Your house design work is amazing! Especially love your school house to go under the stairs. Also, my sisters and I kinda know you in a strange sort of way. I lived in IF and we went to your yard sale every year when you lived at Shamrock! I cannot tell you how sad we were when you moved and weren't there anymore! My daughter wears some adorable clothes from your sales and I love my green GAP coat that I got there about 4 years ago. My mom got her leather loveseat from you too. See, I told you we knew you in a "strange" sort of way! I found your blog through Lettered Cottage. I lived in Idaho, now live in WV and found you through someone down south. Weird! I "liked you on facebook too. I liked Gracie Lou on facebook too! Visited Etsy and I have to say that hands down her frames are my favorite. I never understand how people can even make things like that! I follow Home By Heidi! Seriuosly?! I LOVE the Prairie Knot Dress that Gracie Lou makes! I like Home by Heidi on Facebook! I'm a follower! Love her stuff! I Love that pennant banner! Too cute! I liked Gracey Lou on FB! Oh my goodness, her frames are beautiful!! And if I had a little girl yet, I would love for her to have the Eliza dress.. so pretty! I liked Gracey Lou on facebook! 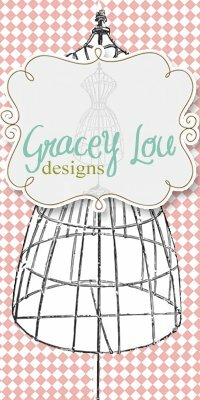 As I was looking at Gracey Lou's website I fell in love with everything! She has such cute stuff on there and with all of my kids being around those sizes I would love one of each! Such cute stuff!!! I am drooling over the Sophia frame and the boys ties. So cute! I'm drooling over the Sophia frame. The ties are adorable as well. So cute! I "like" / Love Home by Heidi on Facebook! Love the frame!!! Cute dress and model. Ahhh - Her Pillowcase Dress is adorable! Love, love, love your blog & style! Just when I don't think there can be anymore darling items on Etsy, some crafy gal comes along and knocks my socks off. WOW! Love her dresses, so cute! LOVE the frames. Love it all! I liked Home By Heidi on FB! I also officially signed up as a follower of your blog (even though you've been in my Reader forever)! And I visited Gracey's Etsy shop as well. I love the little dresses, but since I don't have kids, I'm totally crushing on the frames, especially The Gracey Frame. I also like Home by Heidi on FB! I also like Gracey Lou on FB! Just liked your FB page!!! Already a fan of Gracie Lou, but went to her page and showed her some love from you! Checked out GL's Etsy! I LOVE the Retro Skirt! My daughter would look adorable in that! Love the Layla Pillowcase dress! I love, love, love the children's ties. I have four little boys and I think they would like them too! I am a fan of Gracy Lou on FB!!! LOVE HER TOO!!!!! Checked out gracey Lou on etsy and I'm lovin those ruffle tights, so cute!! I love GraceyLou's picture frames and the little boy ties! I love the Pillowcase dress...so cute! I now follow you on FB!! I follow Gracey Lou on FB! How do you choose?! I love the sophia frame and the pillowcase dresses! New follower to your blog! Liked your page and Gracey Lou designs on fb. I loved the Picture Frames!!! I love the picture frames on gracey lou design etsy page! I love the red frame on the second page! I also love all of the adorable dresses! She is so talented! I love the Sophia Frame!! LOVE THEM!!!!! Gracey Lou dress designs are so lovely! I like Gracey Lou on F.B. I love the Layla pillowcase dress. I follow you and your great home tips. I like Home by Heidi on Facebook!! hmmmm.... having a hard time deciding on what I like best. REALLY want the Sophia Picture frame to hang my daughter's art work, but then again, she would absolutely love the Simply Irresistible Pillowcase Dress. So much fun stuff to choose from. Thanks for the giveaway!! 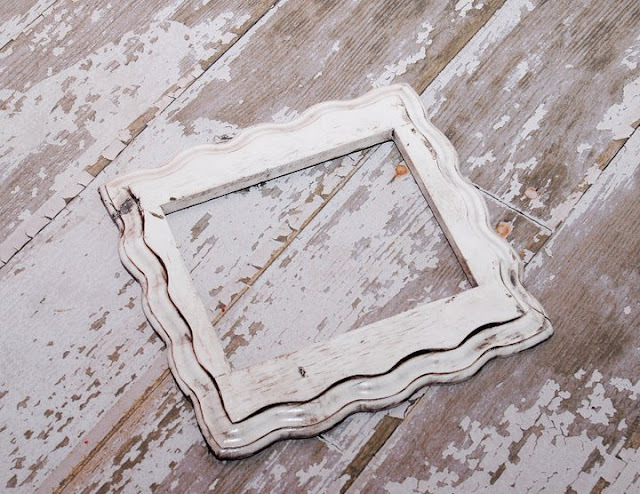 I follow your blog and I love the frames....all of them! So sweet! I follow your blog. Love the frames! Just checked out the Etsy shop and I love the Clair frames! 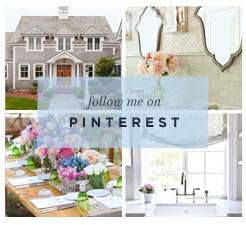 I'm following your blog and I love your style! So chic and sophisticated! Liked Gracy Lou on Facebook! I liked Gracey Lou on FB. Visited Gracey Lou's shop...Love the Red picture frame. I love the ruffly dress on Gracie Lou, my little beauty has got to get one! I know I'm impressionable, but I love the items you showed best! Love that yellow and black ruffle dress and the blue frame! I am a follower of Home by Heidi! I like Gracie Lou on Facebook!! I love EVERYTHING Gracie Lou has to offer on etsy!! I already follow your awesome blog!!! I *like* Home by Heidi on Facebook! I love the little ties! The dresses are presh too, but since I don't have a baby girl I guess I'll have to drool over those ties! I love all her cute little dresses, but I'll admit that I am IN LOVE with all the frames. They are amazing and I agree - nothing like them around. The frames are my definite favorite!! My daughter NEEDS a layerd pillowcase dress. Just adorable!! And the frames....uh! Love them!! !